The Sufi poet Khwaja Farid described the Cholistan part of the Thar/Great Indian Desert as ‘a site of wildness and madness . . . the place of lovers . . . a place of joy and gladness’. Until Partition, the Thar was at the heart of the western frontier of South Asia, comprising of Punjab, Sindh, Rajasthan and Gujarat. This frontier region represented cultures at crossroads, rather than at the mainstream of ‘centralised’ Indian culture, with a history of vernacular languages and folk traditions. Since colonial times, the dominant narrative of Rajasthan as the site of courtly lifestyle often overshadows the experiences and voices of the nomadic communities—the agro-pastoralists, traders, musicians, bards, ascetics, soldiers—whose wanderings and adventures defined the Thar region. A closer look at some of these communities reveals a rich and complex history. Pastoral communities such as the Raikas, Gujars and Sindhi Sipahis lived rough lives herding their camels, sheep, and goats up and down the Thar in search of seasonal pastures. To date, an unforgettable sight from western Rajasthan is that of the wiry figures of Raika men wearing a thickly twisted turban and holding a staff in one hand, herding their camels through the arid landscape. But both myth and reality relegate the Raikas, also known as Rabaris, to the margins of local history and society. A popular saying in Marwar sums up their fringe position: ‘Raah bahare Raika, gaon bahare Ghar,’ meaning just as the Raika is outside of the mainstream, his house is outside the village. 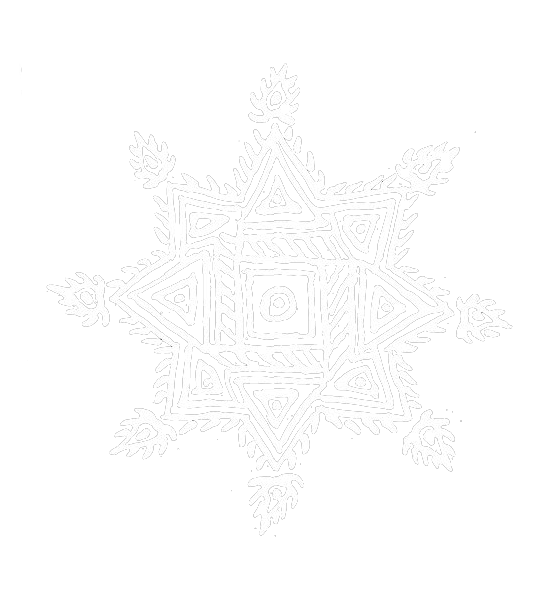 However, the Raikas’ own understanding of their place within the larger history of Rajasthan, as well as the multifarious caste dynamics and inter-community interactions of this region, can be profoundly understood through the local oral epic of Pabuji, a folk deity of Rajput origin, worshipped by the Raikas. Originally composed by Charan bards, it is sung-recited by Nayak and Bhil bhopas or priests, either at shrines dedicated to Pabuji or in association with a phad or a long painted cloth. Pabuji is also invoked by the Raikas in its simplest form in a group-singing practice called jhurava. The nomadic herdsmen probably started singing this epic to keep their spirits up on their long and arduous journeys across the Thar and beyond. The bardic traditions of the region were the preserve of communities such as the Charans and the Bhats. The Charans have also had a particularly dramatic history as caravan protectors until at least the colonial period. The sparseness of the desert made passing caravans prey to plunder and looting by gangs of bandits. By threatening to kill themselves through the dreaded practice of taga and, thus, lay a curse on the bandits, the Charans played upon their formidable reputation as deviputras (sons of the goddess) to secure trade and exchange routes. The dominant Rajput elite helped by adopting the extensive pantheon of Charan goddesses as their kuladevis or clan goddesses, and the Charans as their bards. Hence, the Charans were entrenched in two of the most powerful networks of the Thar—trade and the feudal order. It was a defining feature of social life in the Thar that all communities, not just the ruling castes, had genealogists and musicians attached to them. 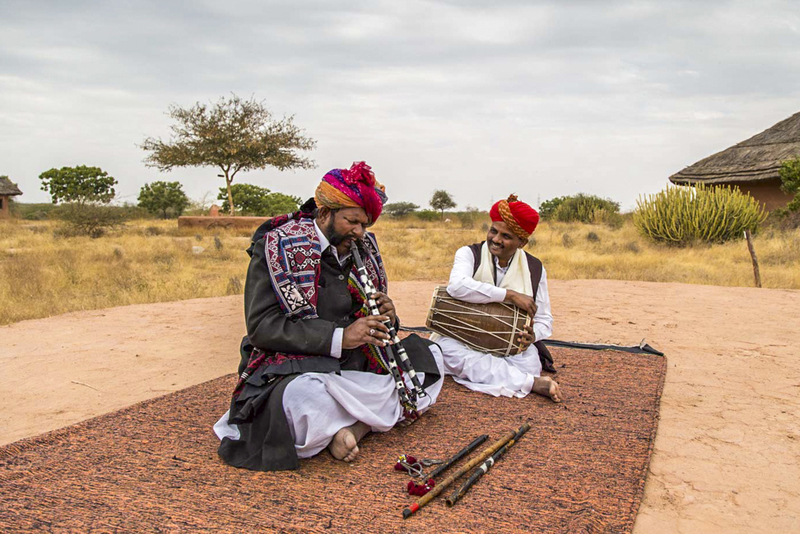 The dominant musician communities of the Thar are the renowned Manganiars and Langas. Although the general impression is that the Manganiars were the minstrels of the Rajputs, they, in fact, extended their services to all those families from different communities, rich and poor, upper or lower caste, that provided services to their Rajput patrons. The Langas were exclusively attached to Muslim Sindhi Sipahi patrons, also serving as their genealogists. These musicians are associated with different instruments. Only the Manganiars play a bowed lute called kamaicha, which is found in western Rajasthan and parts of Sindh. Of the two classes of Langas, the Sarangiyas and the Surnaiyas, the latter are the only musicians from Rajasthan to play the string instrument sarinda or surinda, although it is found from Baluchistan in Pakistan to the north and east India. The Sarangiya Langas sing to the music of a local form of the string instrument called sarangi, which is also used by the Manganiars. The Surnaiya Langas are strictly instrumentalists, their primary instruments being aerophonic. Separation and longing are recurrent themes in the folk songs sung by them, in a region where lovers were often parted as the men had to travel. Nomadism in the Thar region, as well as the wider western frontier, suffered its worst blow during the colonial period. The colonial project in India was driven by the need to ‘make sense’ of a subcontinent that could not have been more alien from Britain. In the case of the Thar, it meant romanticising certain communities while damning others as inherently criminal under the Criminal Tribes Act, 1871. Nomadic communities were either notified or viewed with suspicion. In post-Independence India, its nomadic past stands at the final crossroad. The Indian nation state’s attempts to protect vulnerable and marginalised communities through giving them reserved status, its efforts to accommodate them alongside or integrate them within its development discourse is yet to run its course. But what these frontier people do represent is an India grappling to adjust the demands of modernity with its diverse and complex history.